It's the middle of summer - also known as the season of the out-of-office email. You've probably been sending around your usual emails, only to get a bunch of immediate robo-responses explaining fun vacations, time away from the office, or stat holidays. While it's good to be in the know about where your colleagues or clients are, what if those emails could be worth even more to a charity? Most OOO emails are just a few lines of text but then a whole lot of empty space - which is where Mindshare's Dooonate (three O's, get it?) tool comes in. Dooonate takes the empty space under your out-of-office message and allows you to "donate" it to nonprofits and charities to use as advertising space for their worthy causes. It's low effort with a big impact! According to Third Sector, Mindshare's executive creative director Becky Power is quoted as saying: "We wanted to explore ways our industry could use our expertise and talent for a good cause. Every time you see a message from a charity, it has probably paid to get it there. And advertising is not cheap. Dooonate gives charities free space to send their messages straight to people’s inboxes." 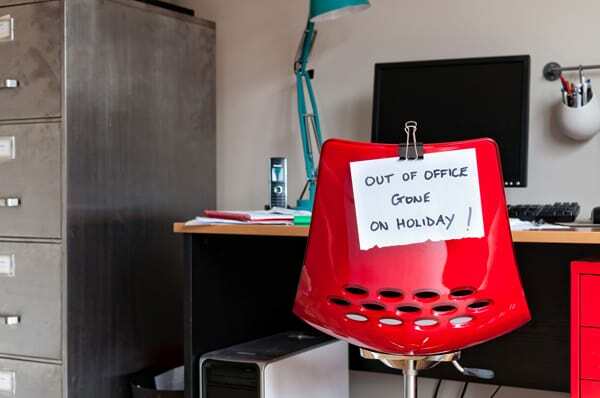 To that point, Mindshare's examined the "empty space" in typical out-of-office emails and estimated that it could be worth £1 for every 1,000 emails - and the UK typically sends 51 million OOO emails every day. That comes out to about £51,000 worth of daily media space in the UK - a huge boost to nonprofits and charities working with very little overhead for advertising.